This is my 100th post of Project Gridless. As such I think I should point out some of the most popular posts during the past year, but also some of my favourites. I have organized these by topic, and then by popularity (sorta). 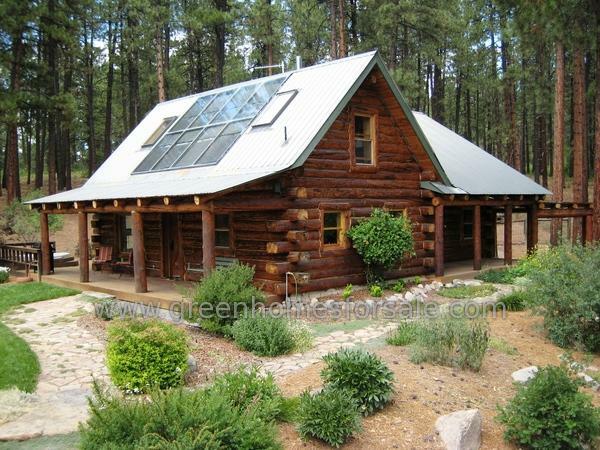 How to find Off The Grid Homes - Pretty self explanatory, it is basically a short guide on how to search for off the grid real estate. 25 Examples of Off The Grid Homes - Mostly it is just photography, but it is some amazing examples of off the grid homes. Awesome Treehouse - This is really more amusing than anything else. Living in a treehouse is an interesting idea but unrealistic for most of us. The Treehouse Idea - A continuation of the above idea, but explained in more detail. How to Buy, Design and Build your own Shipping Container Home - A detailed list of where to buy, what to do, and how to build your own home made out of shipping containers. List of Cooling Systems for Off The Grid Living - Different cheap ways to cool your home in the summer. PVC Longbows and Double Limbed Bows - Honestly, I don't really like PVC bows (I prefer wood), but the double limbed bows are certainly interesting. 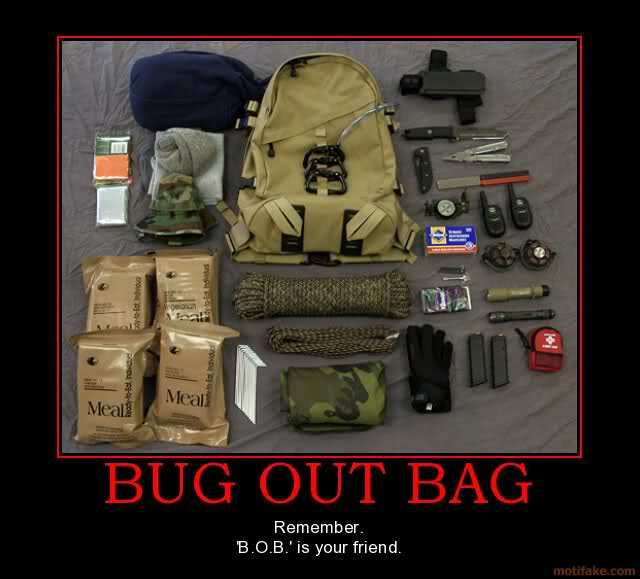 Filling your Bug Out Bag - A good idea if you ever think you might need to get out of dodge in a hurry. 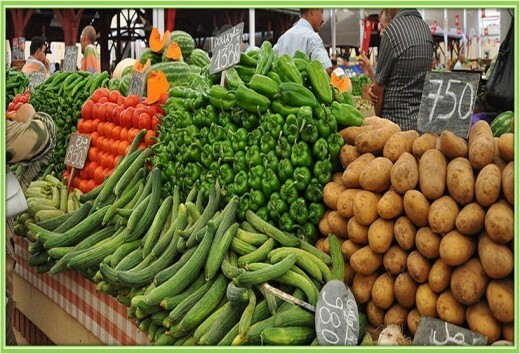 Going Vegan Off the Grid - A quick guide to gardening and growing enough food to survive as a Vegan using your garden to produce all or most of your own food. Cooking Grouse, Wild Turkey and Water Fowl - A series of videos about how to cook various types of birds that you hunted and killed yourself. These ones are not as popular, but I enjoyed writing / researching / doing them a lot more. #1. Any and all of my posts about Bow Making. I just love making bows. That is easily the most enjoyable thing I have done since starting Project Gridless. #2. 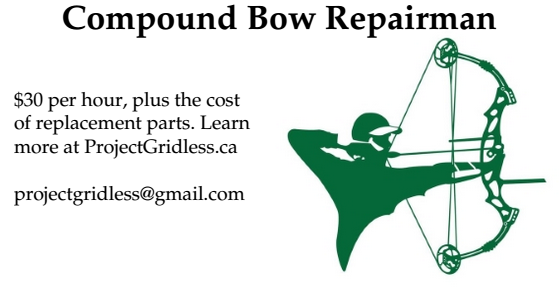 My posts on making my own Homemade Crossbow. Again, very enjoyable. I definitely enjoy making longbows more, but the crossbows are a lot of fun too. #3. I find all the videos and my research into Falconry to be quite fascinating. I would love to get into Falconry someday, but I doubt it will happen because it is such a huge commitment. I would be more likely to get into horses instead. #4. How to Make a Shaving Horse - I really enjoyed this post. I guess it is just the DIY carpenter and woodworker inside me. I love carving things and having a Shaving Horse is on my list of things to get, even if I have to build one myself. #5. Antler Thumb Ring for Archery - I am still working on making my thumb rings - they have taken a back seat to my current longbow - but I really enjoy carving antler despite the horrible smell. Gardening / Food Recipes - I don't think I have written enough on this topic. Wilderness Activities - Things people can do for fun when live in the countryside / close to wilderness. Not just archery, which I love, or falconry, or horseback riding, which are also awesome. Just a long list of things people can do when they live in a region with no shortage of wilderness to explore. Real estate / off the grid homes - Honestly, I already have a fair amount - and they are popular - but I feel I should be writing more on this topic because it is a major part of this website's purpose. True, six of the top ten posts are about off-the-grid homes, but I think I need to do more to talk about this.